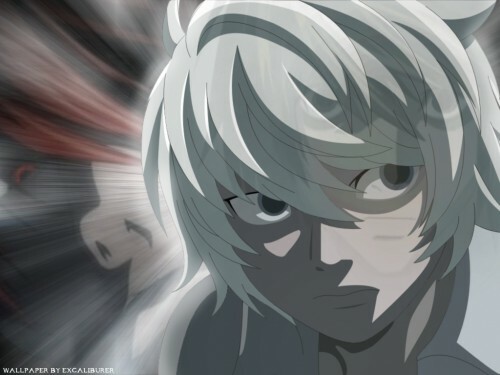 Death Note Wallpaper: I'll catch you Kira! Minitokyo »	Death Note Wallpapers » Death Note Wallpaper: I'll catch you Kira! I don't have an idea for the backround. So I gave L&Light clone on it. Actually, I really like the background...It has an eerie aura.